If you’ve taken up painting as a hobby, you’ve no doubt considered landscapes. Every fall, this area explodes in amazing colors as the trees go through their ritual shedding of leaves. Before those leaves drop, you’ll be treated to stunning vistas that just need to be captured on film or on canvas. No matter what your medium, you’re not going to find a bad view. The goal is to hurry because as soon as one or two leafs fall off, the rest get the idea and follow. Then you’d be left with a lot of bare branches. Sure you can wait for some snow for new artistic inspiration but in between there is a lot of leaf cleanup. 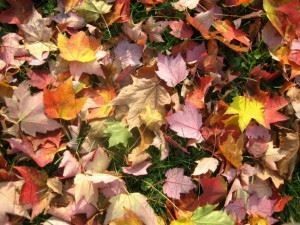 If you’re a home owner with trees on your property you know what a chore it is to pick up those leaves. The raking part is kind of easy. It’s the bagging that can be really backbreaking. Luckily, you’ve got help this year if you call Junk King to help with your leaf removal. Yes, their name says “junk” but Junk King Capital Distric removes a whole lot more besides household goods and old furniture. After every big storm, the Junk King crews go into overdrive. That’s because many loyal customers know they can depend on Junk King to help them remove any debris that has fallen into their yards. In between those emergency calls, Junk King can pitch in to help you clear out the piles of leaves. They can also take away things like rotted wood, broken planters, patio bricks, lawn furniture and anything else that is creating a distraction from the rest of your beautiful home. On that same trip, you can always tap into the Junk King Capital District crew to help with the interior removal. Now is your chance to finally clear out your garage. Maybe you’re looking for a little extra space to hide those Christmas presents? Junk King can help get you there by carting off anything you want from your closet. What you want to throw out is up to you; the job just got a whole lot easier with Junk King on your side. Another benefit of hiring Junk King is there fast service. Usually, you can have an appointment scheduled for the next day. In many cases, there could be a Junk King crew showing up within a couple of hours. You don’t have to get anything ready besides knowing what you want tossed out. The Junk King crew is going to do all the work. Are you ready to say good-bye to your leaves and junk? Call Junk King to make that happen. This entry was posted in Albany Storm Cleanup, Debris Removal Services, Junk King Capital District, yard waste disposal and tagged leaf removal albany ny, yard debris removal, yard waste removal albany ny on November 26, 2013 by Todd Porter. Last updated August 1, 2017 . Like it or not, here come the holidays! Just as the last piece of Halloween candy is gobbled up you can expect a full court press towards the end of the year Times Square ball drop. Will you be ready? If you’re expecting guests during this holiday season you’ll want to get out in front of cleaning up for their arrival. The first place to start is the entry way into your home. This is the “dumping ground” for boots, shoes, jackets, hats and backpacks. It’s also the first thing that your guests will see. What impression is all that clutter going to give them? There are many decorative shelves and hooks that can be adapted for this entry space. When you get those units up, assign everyone in the family their own space. That way you’ll know when the space is empty who is to blame! Next, you’ll want to take a laundry basket through your home to pick up the loose clutter. This would be things like books, junk mail, magazines, toys and all the odds and ends of daily living. You can tuck that basket in a closet for the duration of your guests’ visit. You could even put it on the dining room table for the family to claim their stuff or watch it get tossed out. That basket approach to picking up clutter can certainly give the appearance that your house is neater but what about those big items that you’re not going to fit in that basket? Now, we’re getting into junk territory and that’s when you have to call in the pros from Junk King Capital District. Before making that call to Junk King get clear about what you want tossed out. This doesn’t mean you have to pull anything to the porch or drag it down to the curb. Just know where the thing is living and tell Junk King when they show up. If it helps, make a room-by-room list that you can check of as each piece of junk goes flying out the door. You might know exactly what you want to toss out but there is no reason why you can’t get the rest of the family involved as well. Let everybody tag their own junk for removal. It’s amazing how much stuff you can get rid of when you know you’ve got a crew to do the work. You’ll also have a truck to fill up so anything goes. As soon as you clear out the junk from your home, you can start decorating. Things will look a lot brighter without the clutter. Call Junk King Capital District today to set up your pre-holiday clear out. This entry was posted in Albany Junk Hauling, Albany Junk Removal, Get Rid of Junk Albany, Junk King Capital District and tagged haul away junk, haul away junk albany ny, Junk Hauling Albany on November 18, 2013 by Todd Porter. Last updated August 1, 2017 .